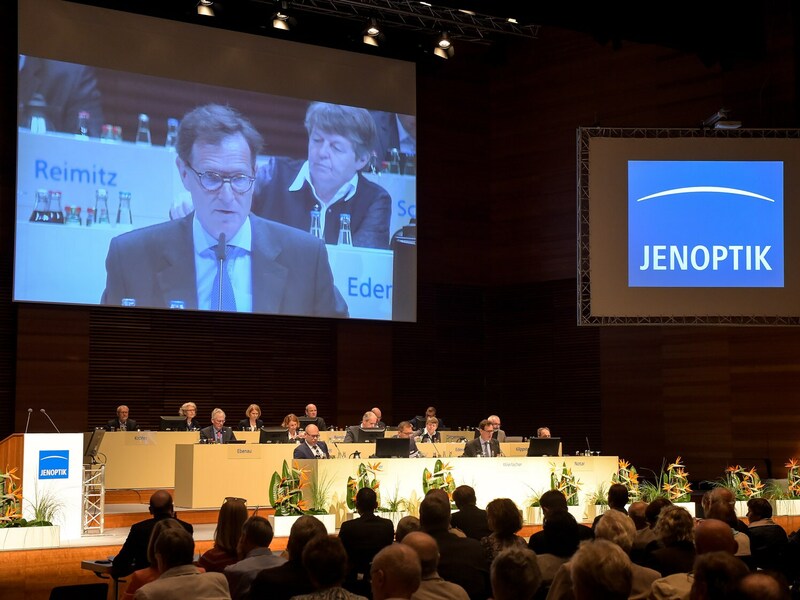 The next Annual General Meeting of JENOPTIK AG is scheduled to take place in Weimar on June 12, 2019. We will provide further information on the financial targets of the one-year variable remuneration (revenue growth, free cash flow, EBITDA margin) and the actual target achievement in fiscal year 2018 retrospectively in the remuneration report for fiscal year 2018 in order to allow shareholders to comprehend the target achievement. The target corridor of the relative Total Shareholder Return compared to the TecDax for the tranche 2018 of the multi-year variable remuneration ranges from -20 percent to +30 percent. 100 percent target achievement is given if the Jenoptik share outperforms the TecDax by 5 percent up to and including 2021. If the share price outperforms by 30 percent the target achievement will be 150 percent, if it outperforms by -20 percent the target achievement will be 50 percent. Also in the future, Jenoptik will not disclose target values for the remuneration, if this would allow market-relevant or competitively sensitive conclusions on the strategic targets of the Group.